According to Government Digital Services Minister Clare Curran, the group aims to create a digital environment that is "consistent with human rights and protections". “Changes and shifts in how we operate in the digital environment are creating opportunities, risks and challenges for people online, with significant impacts on societies and economies across the world,” Curran said. 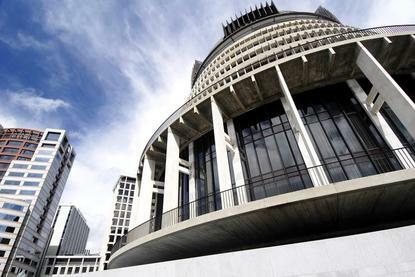 “New Zealand will lead the work and, together with the other members of the digital nations group, work together to create a multi-national framework for digital rights." Curran said plans are in place to work across government portfolios to develop a "fully citizen-centric" approach. “At the heart of all the work we do are our people and they must feel protected online," Curran added. In addition, Curran said two new countries have also joined the digital nations group, Canada and Uruguay, taking member nations from the D5 to the D7. “Expanding the D5 membership ensures we remain a resilient, relevant and strong forum for practical collaboration and sharing insights and best practice which will help us achieve our ambitions in our own countries and collectively build a stronger digital world,” Curran added. The D5 Ministerial Summit 2018 brought together government, non-government organisations and business, with the Wellington event exploring the use of big data for health; attracting and retaining digital talent; establishing digital identity and building citizen-driven collaboration. The D5 nations have met every year since 2014 with this year the first time New Zealand has been host, with Israel now taking over as chair of the new D7 group.